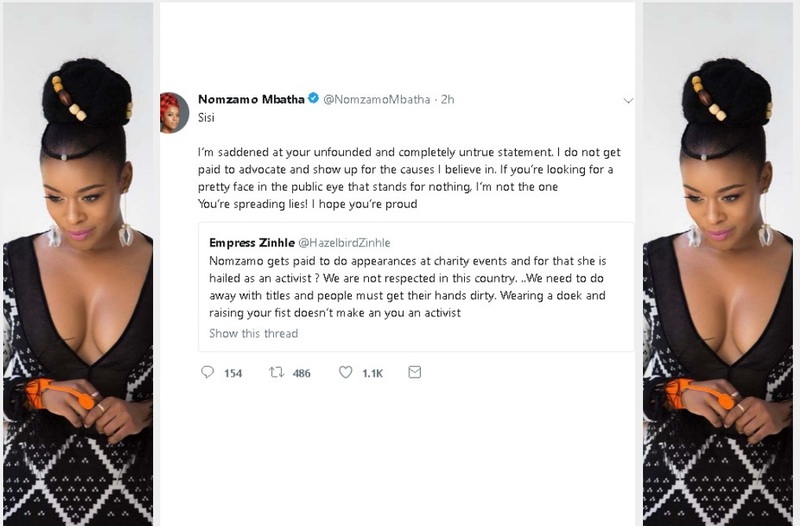 Nomzamo Claps Back At Tweep Questioning Her Activism! On Sunday Nomzamo unveiled her Cosmo SA Activism Issue on social media. The groundbreaking cover was met with mixed feelings from social media. Whilst others praised the cover and congratulated the star, others felt calling her an activist was pushing it. 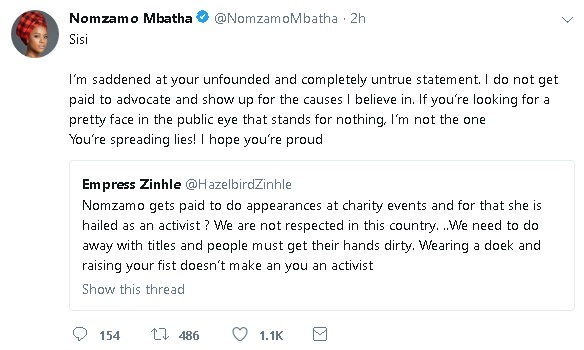 One Twitter user took to the platform sharing her thoughts on Nomzamo’s activism. “The Wearing a doek and raising your fist doesn’t make you an activist,” the user wrote. In response, Nomzamo set the record straight on what she gets paid and what she does not get paid to do. “I do not get paid to advocate and show up for the causes I believe in. If you’re looking for a pretty face in the public eye that stands for nothing, I’m not the one You’re spreading lies! I hope you’re proud,” Nomzamo tweeted.